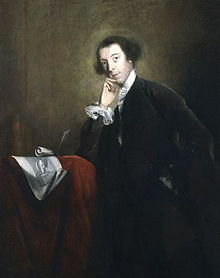 Horace Walpole was an inveterate letter writer, and his correspondence is probably the largest collection of letters that is available for analysis, linguistic and otherwise. Froukje Henstra is writing a PhD thesis on the language of the letters. A short while ago, she discovered that Walpole’s letters are now available online, and freely so. We hope that if you are interested in using this database for research, you will share your experiences with us. This entry was posted in 18th-century letters, news and tagged Horace Walpole. Bookmark the permalink.